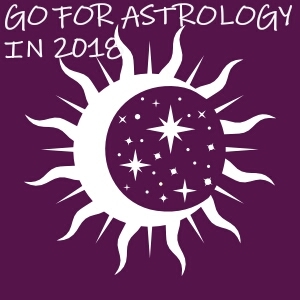 Uranus ingress in Taurus on May 15th, 2018 but will have a retrograde moving to Aries on November 6, 2018. Then move direct again in Taurus on March 6, 2019 for another seven-year journey ending on April 26, 2026. As you know already, Taurus is a sign of earth element and it is the most resistant to change. Uranus challenges the status quo and forces both the individual and the society to change. From the point of Taurus, change not only could overthrow quiet life, but threaten the most important of all things: SECURITY. WHAT WAS HAPPENED IN THE PAST DURING THIS TRANSIT? When Roosevelt came to power, he adopted the New Deal. According to Roosevelt’s New Deal, the unemployed people have been paid to build schools, bridges, roads and so on. Built of huge structures. The Empire State Building, the Chrysler Building, the Golden Gate Bridge and the Rockefeller Center were built. Changes of national borders. The outbreak of the Spanish Civil War (1936), Japan’s invasion of China (1937), the Winter War between the Soviet Union and Finland (1939) and many activities in Nazi Germany, including the outbreak of the Second World War in 1939. Changing in ways of using land in some European countries. In UK have been a campaign when citizens were asked to cultivate every inch of land. People have grown their food independently, and gardening has become part of the curriculum in almost all schools. In the U.S.A have been introduced legislation aimed at helping farmers. Droughts, bad practices in agriculture and storms affect millions of acres of land have forced thousands of families to abandon their farms. There were big earthquakes with a lot of damages. The 1940 Vrancea area earthquake, also known as the 1940 Bucharest earthquake, occurred on Sunday, 10 November 1940, in Romania, at 03:39 (local time), when most of the population was at home (1600 death and 12100 injured. The magnitude was 7,4 on Richter scale. The 1687 Peru earthquake occurred at 11:30 UTC on 20 October. It had an estimated magnitude of 8.4–8.7 and caused severe damage to Lima, Callao and Ica. It triggered a tsunami and overall about 5,000 people died. The 1938 Banda Sea earthquake occurred in the Banda Sea region on February 1. It had an estimated magnitude of 8.4 on the moment magnitude scale and intensities as high as VII (Very strong). It generated destructive tsunamis of up to 1.5 metres, but no human lives were lost. WHAT MAY HAPPEN DURING 2018 – 2026 TRANSIT OF URANUS IN TAURUS? New buildings. In different countries will be build major infrastructures, as well as increasing the construction of new homes. Also, people could build their own homes independently without having to hire builders. Brexit. Uranus in Taurus will speed up the UK’s exit process from the European Union. With Uranus in Taurus, when change occurs, this can be done in the most drastic and comprehensive way. Of course, you can never know exactly what will bring this transit, either to an individual or a nation, or to the globe itself. There is possibility that other countries to ask for exit. The message of these countries for the EU is simple – eliminate bureaucracy, corruption and become more flexible. Lands using – new practices. How land should be used – for food, housing, recreation, conservation – is already the subject of debate. The technology of agriculture and animal husbandry will reach a new level, so that man becomes less concerned about many hours of work. Diet and wellbeing. People will be more careful about where their food comes from. Food consumption is certainly a Venusian concern. Venus is known as ruler of Taurus sign. Maybe will be discovered better treatments or prevention of various eating disorders: anorexia, bulimia, obesity, etc. On the other hand, the uranian tendency towards extremism can also lead to strange eating behaviours. Financial revolution. As you know Taurus and its ruler Venus relates to financial area (banks, insurance, pensions, annuities and so on). Uranus in Taurus will help people to realize that they have become slaves to the banks, that is why Uranus in Taurus could bring about all sorts of changes in different economic systems, but perhaps more interesting – and easier to speculate – will be changing the way we use our resources; how we use, we do and spend our money and what we spend. The important thing is not to get into a financial utopia. Let us remain vigilant! People in debt to banks are likely to find ingenious solutions to earn extra money by renting the various property of their own: car, bicycle, apartment, computer, etc. Airbnb is an already well-established example, but it must follow many others. Investments. The most favoured investments will be in land, agriculture, construction and arts. Population control system with help of technology. It is very likely that the population’s microchipping will appear on a large scale, to hold in the same place (in a universal cloud) all personal data, bank accounts, family information, health, and money in cash, social media information, even our memory. Total control. You realize that taxation will be done instantaneous, you have no chance of escape. Have you ever wondered why do you pay more and more taxes? Natural disasters. We will also hear about big earthquakes, landslides, bumps and other earth-related situations. I wish you a very useful transit!